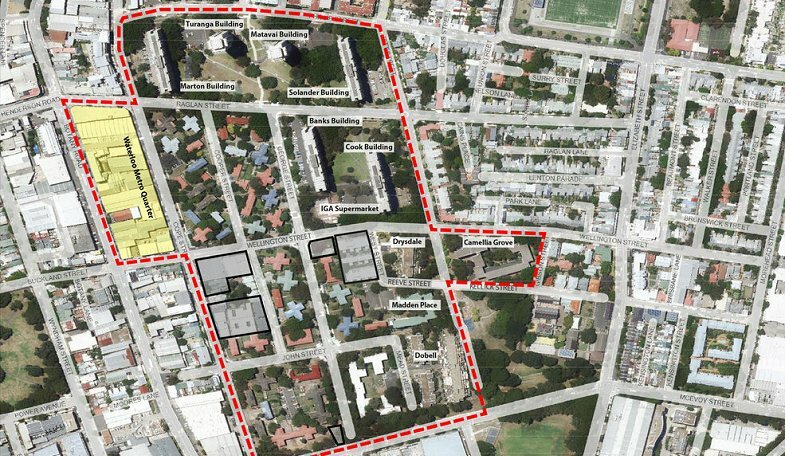 An announcement last week by the NSW state government has advanced plans for the urban renewal of Waterloo's public housing estate. 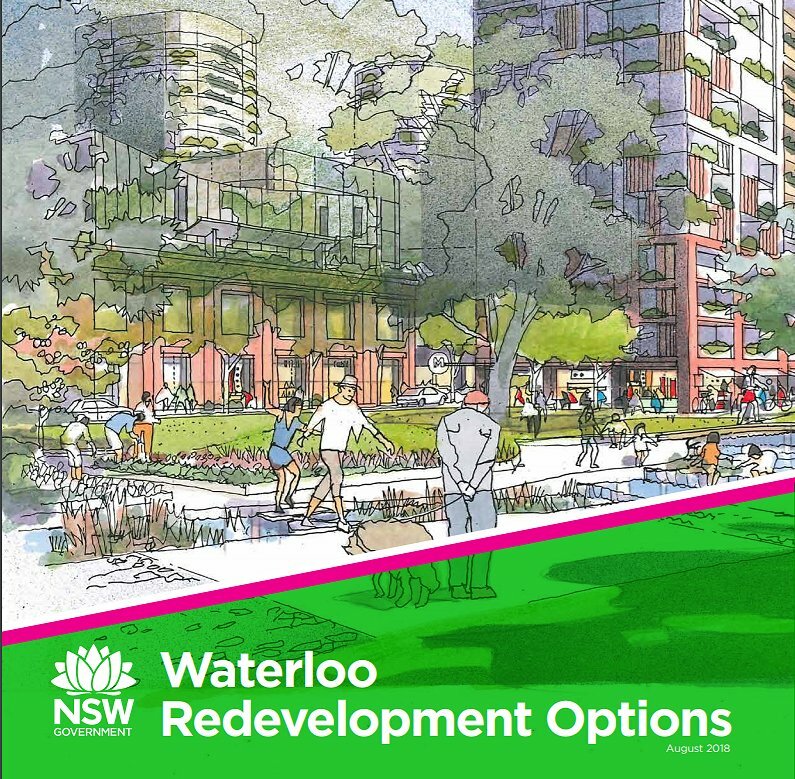 Options for the renewal of the estate sees towers of up to 40 storeys envisaged, effectively making the current public housing estate an add on the the adjacent Waterloo Metro Quarter development. As many as 7,200 new dwellings are expected within the estate, effectively tripling the current housing number. Private dwellings are on the agenda, accounting for as many as 70 per cent of the expected housing stock, with the balance dedicated toward affordable and public housing. Three options have been tabled for the 18 hectare estate, dubbed Waterloo Estate, Waterloo Village Green and Waterloo Park. Unsurprisingly development industry peak body Urban Taskforce Australia was highly supportive of Waterloo's renewal. Additionally Urban Taskforce CEO Chris Johnson also passed comment on the current wider Sydney planning environment. The NSW Government’s promotion of high rise development at Waterloo should also occur on private sector sites around railway stations but in a pre-election environment much planning is on hold. We support the extent of development proposed at Waterloo but the government seems to be concerned about similar developments in Marrickville and Ryde where planning has been delayed. It is pleasing to see the NSW Government proposing 40 storey buildings along with 20 and 30 storey residential towers around the proposed metro station. This gives the private sector confidence that tall residential buildings are supported at a time when there is much community concern about the changing character of Sydney. The Urban Taskforce supports the use of large sites, like the old brewery site on Broadway, for urban renewal projects as their scale can create the amenities and open space for the new community. We believe that there are many decaying industrial sites across the inner west that could produce quality developments like the one proposed at Waterloo. At a time of a big swing in Sydney towards urban living the government must provide leadership to the community about the new shape of the city by supporting private development as well as public development. Unfortunately the pre-election environment has made the government nervous about development on private land and this will slow down housing supply. With a development timeframe of 15 to 20 years, the estate's masterplan is taking shape with an aim of "reflecting the community’s needs and priorities along with the findings from a range of technical studies". The trio of development options are now subject to a period of public feedback prior to a preferred plan being adopted. Beyond the adoption of and implementation of the preferred masteplan, it will be referred to Department of Planning and Environment for assessment in order to be ratified. Further information on the Waterloo estate urban renewal can be found here.